For some reason, I am always compelled to order things that restaurants do not specialize in and I know it but I do it anyway. In this case, I decided that instead of grilled cheese, I would order a dessert sandwich. I know that sounds like a terrible idea already but I just wanted to try it! 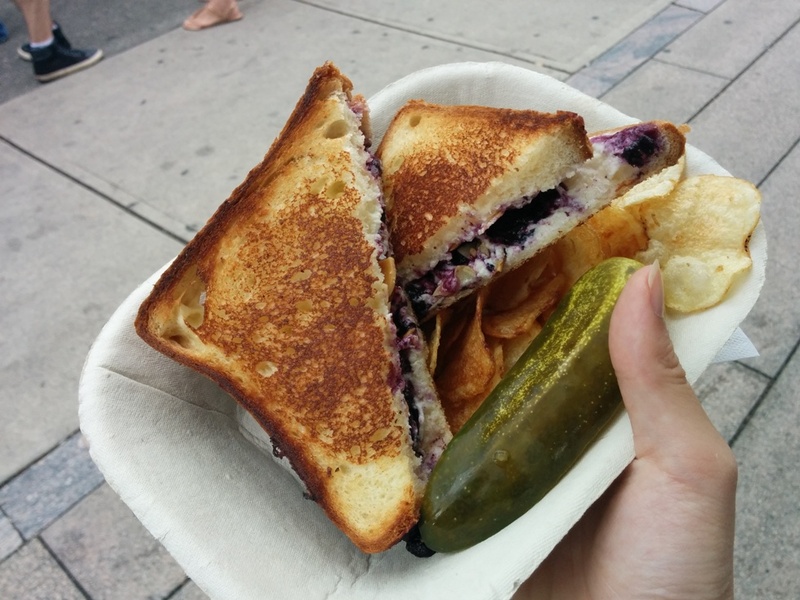 This entry was posted in Food Trucks and tagged food truck, grilled cheese, sandwich.